Lennard-Jones, Sir John Edward - concerning : Early Ideas in the History of Quantum Chemistry. John Edward Lennard-Jones was born in Leigh, Lancashire and educated at Leigh Grammar School where he specialised in classics. In 1912 he entered Manchester University where he changed his subject to mathematics. After First World War service in the Royal Flying Corps he returned to Manchester as Lecturer in Mathematics, 1919-1922. In 1922, on the advice of Sydney Chapman, he applied for and was elected to a Senior 1851 Exhibition which enabled him to work in Cambridge where he became a research student at Trinity College (Ph.D. 1924). and Professor of Theoretical Physics, 1927-1932, returning to Cambridge as Plummer Professor of Theoretical Chemistry, 1932-1953. LJ in 1950. Photography courtesy of © G.G. Hall. Please note: Information on Sir John Edward Lennard-Jones is a bit difficult to find.I therefore present some material I found at http://www.bath.ac.uk/ncuacs/guidei-k.htm#Jones,JLE . I mounted this site in a way fitting to the present context, retaining all information of the site at Bath. His first graduate student was C.A. Coulson. In the Second World War Lennard-Jones served as Chief Superintendent of Armament Research, 1942-1945. 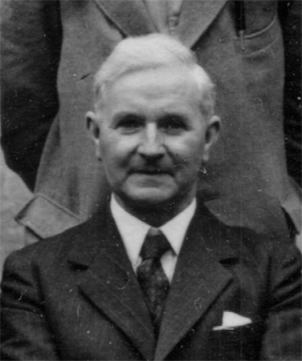 He remained in government service for a further year as Director of Scientific Research, Ministry of Supply, before returning to Cambridge in 1946. In 1953 he became Principal of University College of North Staffordshire (later Keele University) but died in 1954 when he had been in the post less than a year. He was elected FRS in 1933 (Davy Medal 1953) and knighted in 1946. Papers and correspondence of Sir John Edward Lennard-Jones, 1894-1954. Received in 1973 from Dr John Lennard-Jones, son. 1942-1946, when he was Superintendent of Armament Research and Director of Scientific Research,Ministry of Supply. By section as follows: Biographical, Scientific and personal correspondence, Persoanl journals, Lectures, sermons and addresses, Private correspondence. Index of correspondents. Readers intending to use the Archives Centre must write in advance to the Keeper of the Archives giving details of their research subject and listing the collections they will wish to consult. New readers should also provide a letter of introduction and some form of identification (such as a passport or driving licence). A collection of lecture notes taken 1928-1932 deposited by Professor C.A. Coulson in Cambridge University Library (shelfmark GB 0012 CUL Add. MS 7807) includes notes of lectures in Cambridge by Lennard Jones. Professor Coulson wrote (14 Novemebr 1973) 'I suspect that these are the first lectures on theoretical chemistry (or perhaps more accurately quantum chemistry) that had been given in Britain'. A collection of Lennard-Jones's published work is held at Keele University. Copyright © Jan 5, 2002 by U. Anders, Ph.D.